We're showing information for 25570. Consumers are smart. They look at reputations and business records, choosing the business that can best address their specific needs. That means the West Virginia market is always getting more competitive. Wayne, WV companies are working harder than ever to attract loyal new clients. Business owners who want to stand out need dependable, rapid connections to current and future customers. Frontier Business packages offer a variety of phone and Internet services—including Business High Speed Internet—designed to help you easily communicate with your clients and your team members. Frontier’s services for small businesses give your company the tools it needs to form long-term customer relationships. These resources also help you attract the best partners and connect with your staff members efficiently. It’s no secret that competition is tough in The Mountain State, not only for customers, but for great employees, too. It’s expected that the job-growth rate will reach 18.80 percent in Wayne during the years to come. 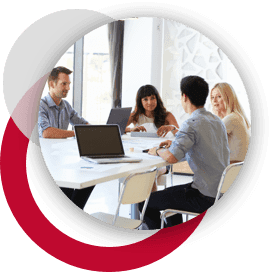 Services such as Texting, Conferencing, Web Development, Hosting, and Managed IT will help make your company a desirable place to work—and a desirable company to work with. Many West Virginia businesses are experiencing growth and expansion. And with growth comes obstacles that can present your business with new challenges. Fortunately, Frontier’s Enterprise Solutions are designed specifically to help you reach your goals while maintaining your current customer base and consistency. As your company develops, you must account for rising bandwidth needs and constantly changing requirements for connectivity. Frontier’s scalable Ethernet systems come with a Local Area Network and Virtual Private Line, so you will have contoured connectivity and support to match the demands of your growing business. Plus, you’ll have secure access to online resources and data through Frontier’s IP Virtual Private Network. Being able to successfully handle an increase in sales and customer demand is just part of doing business in a market like Wayne. Fortunately, Frontier provides additional tools that will help put you ahead of the game. Providing your community with superior service is also paramount to your success. 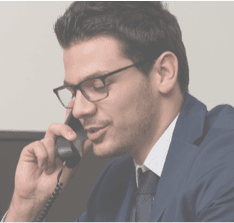 Frontier Communications offers many solutions to help keep you in touch with your customers including reliable phone lines that come with superior sound-quality. Additionally, you’ll have the high-quality equipment you need, since Centrex from Frontier provides phones with the standard features you rely on, plus state-of-the-art features that will give you an advantage. Frontier also includes hosting, network design, equipment, and monitoring services—so you can focus addressing all the needs of your The Mountain State customers, while we deliver you secure communication. Your business will also benefit from crystal-clear sound quality, Voicemail, unlimited nationwide calling, Caller ID, and sophisticated features like voice-to-email integration with Frontier’s Hosted VoIP solution. In every industry--whether it is Health Care, Finance, Education, or Retail--customers want to quickly connect with reliable service providers. The residents of Wayne, WV have the same expectations. Future clients should be able to contact your business over the phone, online, and in person?and if you make those interactions easy and productive, those clients are more likely to become loyal customers whose business you can count on. Frontier offers communications solutions that are tailored to your industry--and these resources can make it easier for you to connect with your clients and employees. Plus, you get high-quality equipment, round-the-clock customer service, and dependable infrastructure in your area. Cyber-attacks and computer viruses can cause irreparable harm to your business . Fortunately, Frontier Secure provides technical support and cloud backup, as well as malware and virus protection. That’s important, especially when you consider that West Virginia reported 0 cybercrimes in 2013. Of course, safeguarding your online assets is just one way Frontier can help West Virginia business owners. You can gain even further peace of mind with Frontier’s equipment replacement programs. When you choose Frontier, you can spend your time building your West Virginia business and connecting with customers instead of being at the mercy of an Internet connection that is slow or unreliable. That’s because Frontier delivers Internet connections that feature speeds up to . So get the speed and security services you need to win customers and outsmart your competition with Frontier.